“Our existence depends on nature. Clean water, the air we breathe, and the soil that grows our crops and produces medicinal ingredients are just a few of the services provided by nature. Moreover, it has a power to inspire us. 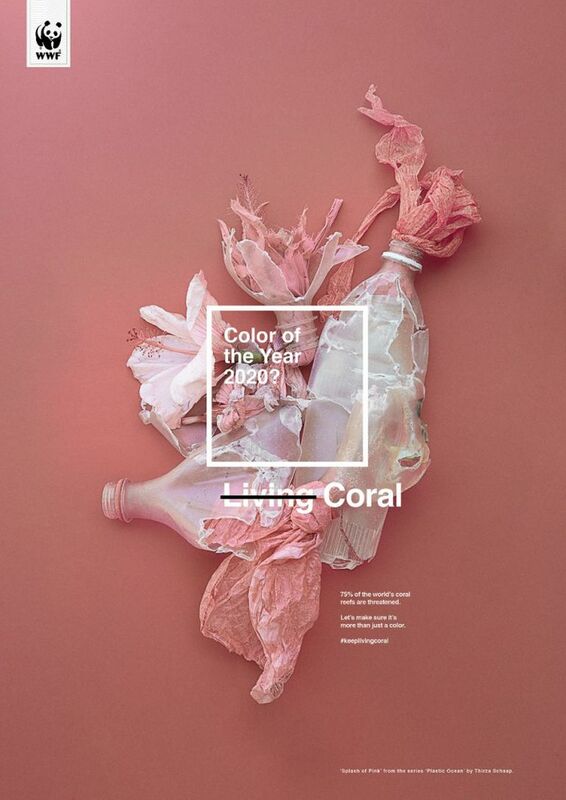 The choice of “Living Coral” as the colour for 2019 highlights the importance of our diverse environment.” – said Alexa Antal, Head of Communications, WWF Hungary. For 20 years, the Pantone Color Institute has been drawing attention to our colourful world by selecting the Colour of the Year. Pantone’s Colour of the Year has influenced product development and purchasing decisions in different industries, including fashion; interior design and industrial design; as well as product design; packaging design and graphic design. In 2019, that colour is Living Coral. According to WWF Hungary, this kind of nature-inspired choice represents a lot more than a colour. A hue like Living Coral reminds us that every flavour, flash of scenery and impression; everything that matters to us, depends on our environment and its natural values. Leatrice Eiseman, Executive Director of the Pantone Color Institute, believes that colour is an equalising lens through which we experience our natural realities. Since corals are in danger of becoming extinct in the near future, this is particularly true for Living Coral. “The world has lost about 50% of its coral reefs. They will be driven to near-extinction in a few decades if we do not act.” – she said. It is a serious, global problem, which is going to affect all of us. In fact, coral reefs support more than a quarter of all ocean life. Coral reefs help us to maintain healthy marine ecosystems. The oceans supply food and livelihoods for billons of people, produce half the oxygen we breathe, and absorb about one quarter of our carbon dioxide emissions. WWF is supporting the establishment of protected marine areas; working to reduce the pressure that our marine life is facing from unsustainable fishing practices and development; and is fighting to protect coral reefs around the globe, such as the Great Barrier Reef, Belize Barrier Reef and the Coral Triangle. “The survival of coral reefs is important for the sake of our own future.” – says Alexa Antal. The key visual of the campaign is based on “Splash of Pink,” from the Plastic Ocean series by Thirza Schaap. The movement, launched by WWF Hungary, is spreading on social media via the #keeplivingcoral hashtag. White Rabbit is responsible for the communication.